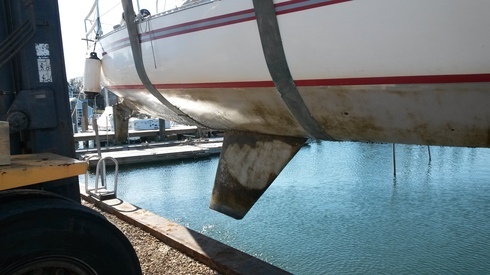 Averisera was in the water all winter and we have just gotten a chance to clean the interior and clean the bottom. 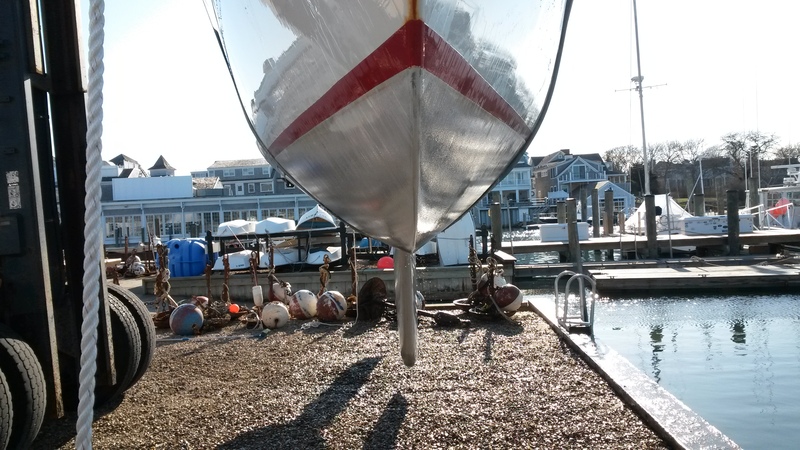 All this is in preparation for the first race on May 27, the FIGAWI. Last year, we did not hual early and the resulting growth may have held us back a bit. This year we are going to be slippery. Special recognition to the Chatham Station USCG crew. We see the men and women often during the season and this year at the boat yard. Averisera was docked next to the fuel dock used for refueling their 40001 patrol boat. The crew came aboard and gave us an inspection. Yes, we passed. We showed off our boat and chatted. It was very nice to get to know them a little better. Good kids. 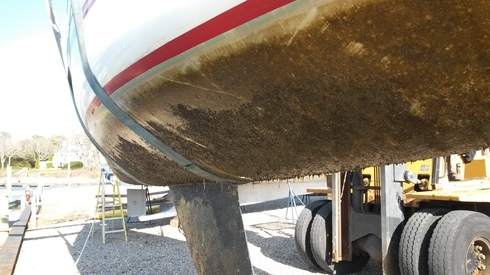 I brush the bottom from the floating dock. The brush is OK if it is done every week. This is the result of a brushing last week after a few months of no attention. It is difficult to do a thorough job when working from a floating dock in poor visibility. At our floating dock we can only scrub one side at a time. This is the unscrubbed side. Cleaning was certainly required. As we were about to turn the boat in her slip, the world's nicest boat yard boy (son, Zachary) offered to simplify the whole operation by hauling the boat and pressure washing it. Thanks! Harwichport Boat Yard. Looking good. In a few weeks, we will find out if we are fast enough to bring home a trophy. 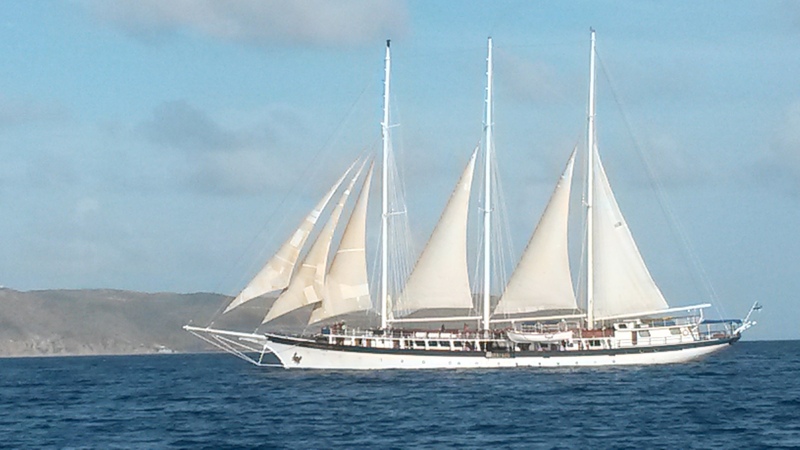 Averisera is a far cry from this three story cruising catamaran pictured in the British Virgin Islands. This is Leverick Bay, Virgin Gorda with Mosquito Island in the background. Three races we'd like to do. The local Hyannis to Nantucket "Figawi Race" is a must do. We finished fourth and think we can do much better. The other two are run from the Newport (RI) Yacht Club and are shorthanded. The Offshore 160 is singlehanded. The NEST is a double handed event. 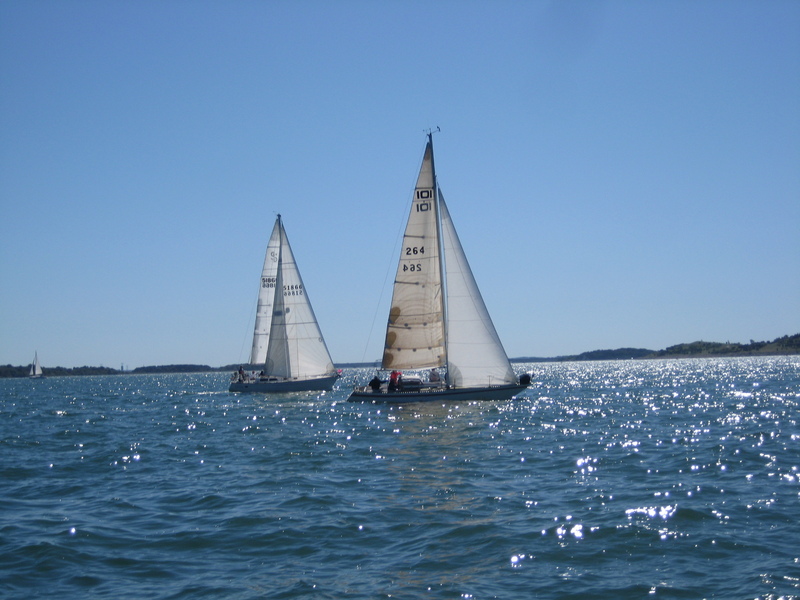 With some luck, we might make the September Maine Rocks Race out of Rockland YC in Maine. 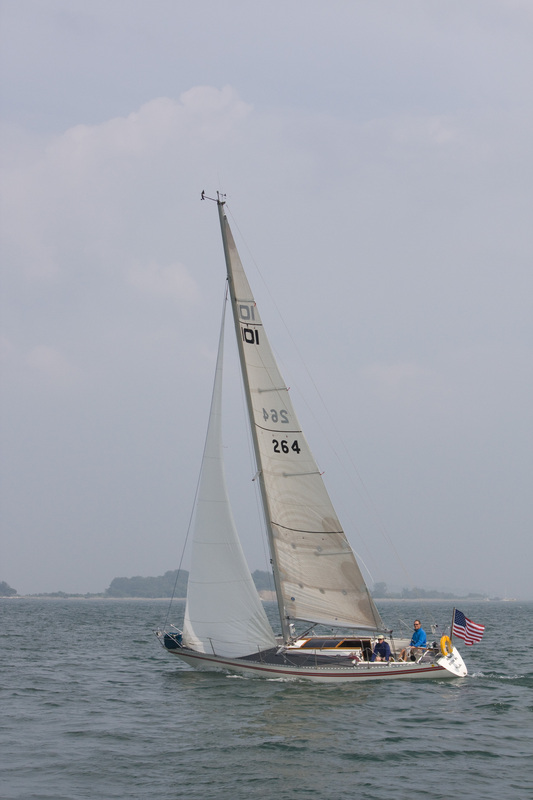 It is a 100 nm double handed event we won a few years ago. 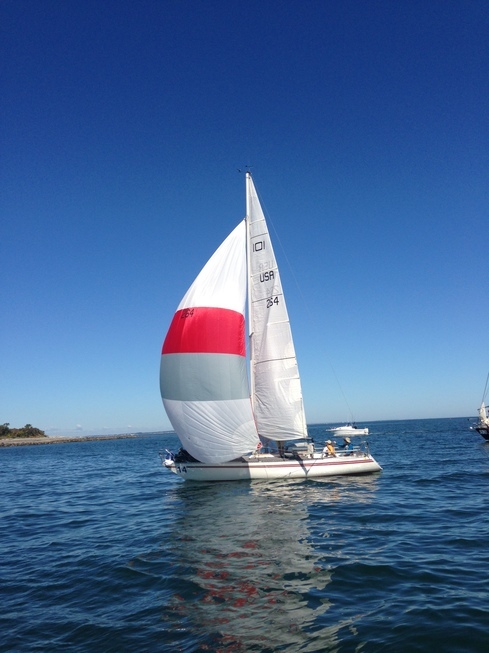 Our new main and kite from Doug Pope in a drifter on Boston Harbor. The new Pope black sail is just visible on the fordeck. Doug has made us nice sails. 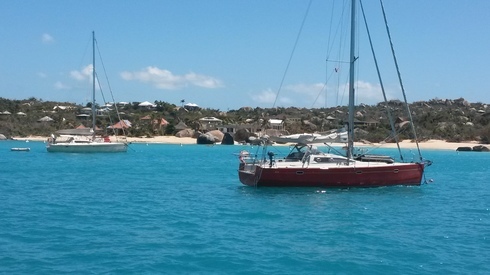 At the end of a training cruise aboard a Hanse 505, the crew and I held onto a mooring outside Village Cay Marina/Moorings at the East side of Road Harbour, Tortola. A Beneteau/First 40.7, Olympia's Tigress was at a nearby mooring getting set up for the BVI Spring Regatta. The boat is available as a "head boat" for racers. Looks like too much fun. I love the idea and the program looks solid. Not my pictures, by the way. Don't know who took them but thanks for the work. I watched in interest since I love to race more than cruise. In 2005, I ran a Frers 45, Rumor, that was said to be the first American yacht to do the entire Caribbean circuit as a for-charter race boat. We didn't do very well, lost money, and had a pretty good time of it. 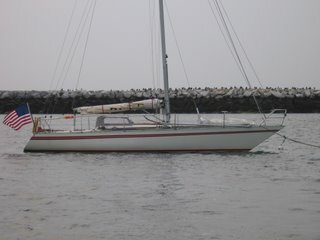 The next year, I was the boat keeper for a Farr-designed Beneteau 44 foot charter yacht we rebuilt for racing. that was Three Harkoms. The owner arranged for a full season of racing. It was a pretty nice season. These days, the circuit has expanded from a loosely organized collection of six or so races to a coordinated series of 14 races. 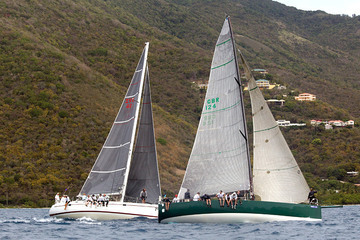 the season kicks off with A New Year's Eve race in Antigua and ends in May with Antigua Sail Week. 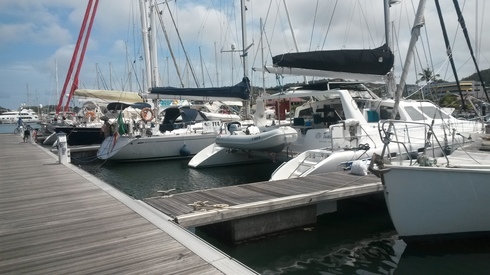 Meanwhile a full participant is going to sail Antigua, Barbados, Grenada, St Kitts, Guadeloupe, St Maarten, St Thomas, and the BVI. 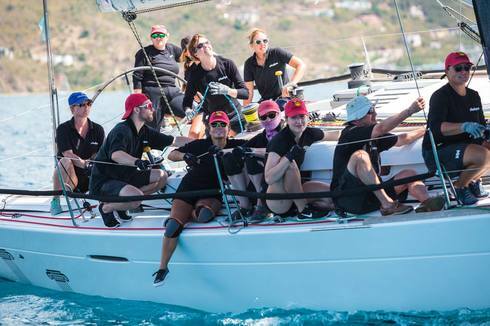 Over a dozen regattas in about five months. Boggles the mind! A long time ago, 1970 and 1971, Norm was mate on a schooner, So Fong, as it cruised and chartered the Eastern Caribbean. We visited the bay on St Lucia near Pigeon Island. It was completely desolate and So Fong was the only vessel in sight. It was said that a resort was planned for the bay area. In March and April of 2018, I saw it for the first time since my So Fong days. 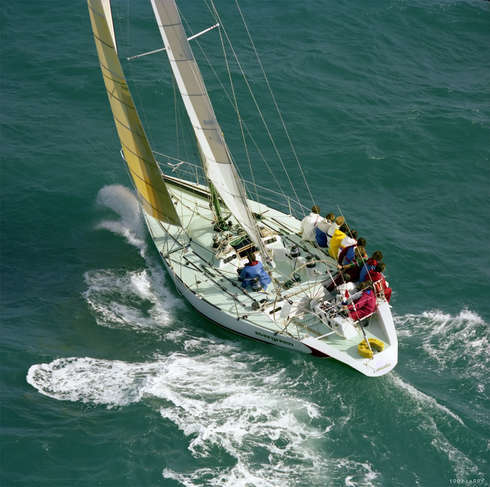 Curiously, in 2005, aboard the Frers 45, Rumor, (ex-Evergreen, US7400) I sailed with a fellow who had sailed the schooner away from Viet Nam. A digression... It was something special to sail into the place about which I had first learned in 1971. 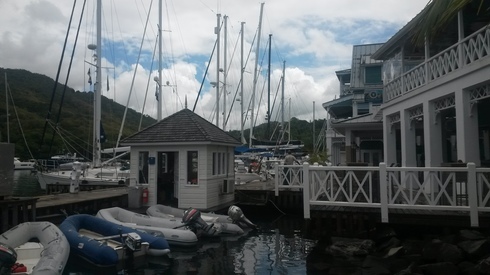 Now, Rodney Bay Marina and Shipyard is a thriving place and economic center for the North end of the island. This Spring; We sailed from Tortola to Rodney Bay aboard a Voyage 440, Twalzan, with the owner and one other crewmember. The trip featured mostly light air and a lot of motorsaliing to windward. The trip is about 350 nm and took about 60 hours. 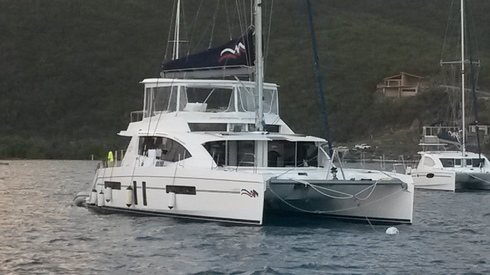 Twalzan in her berth at Rodney Bay Marina. It is a beautiful facility and well staffed. Twalzan has some YouTube video of her delivery from St Augustine to Tortola in the Fall of 2017. Look up Twalzan Full Story. 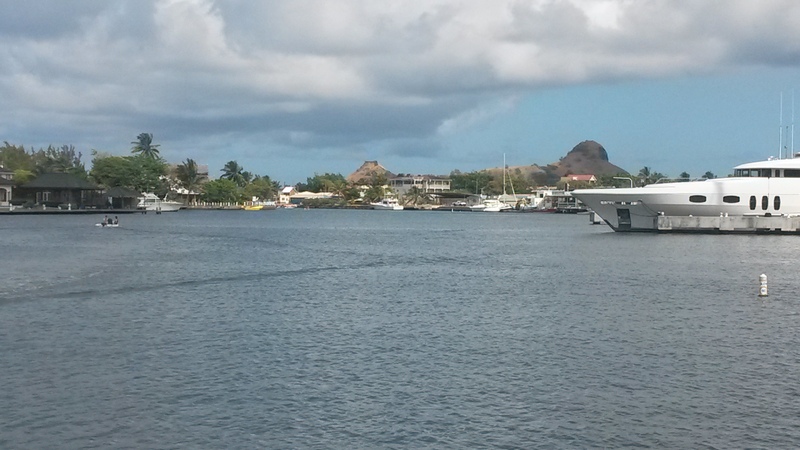 On a road trip by rental car, we visited Marigot Harbour where, among other things, the Dr Doolittle movie was filmed. I was there in 1971 when it was sparse. We tied So Fong to a short pier next to another schooner who's name I forget. She was owned by the Beudreau family, I think. 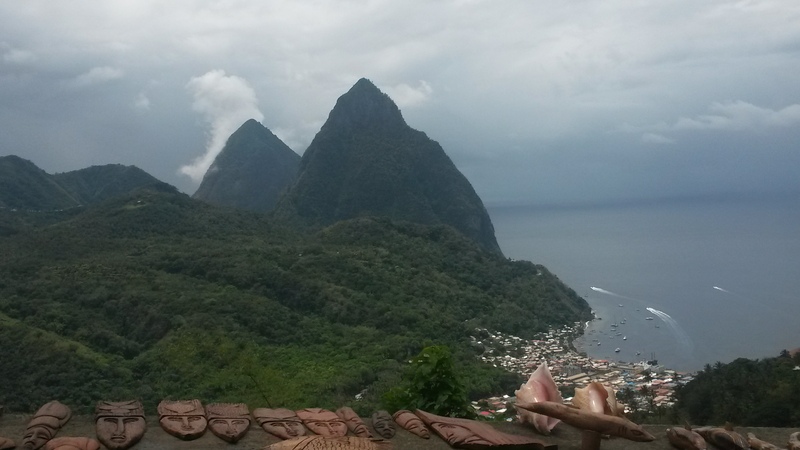 The famous Pitons of St Lucia and the town of Soufriere which we visited. Lush rain forest along path leading to Diamond Falls. Looking out towards the entrance to the marina harbor from the mall at Rodney Bay Marina. The area is fairly well developed in that typical American and European goods and services are available in quantity. The old fashioned West Indian flavor is gone, on the other hand. 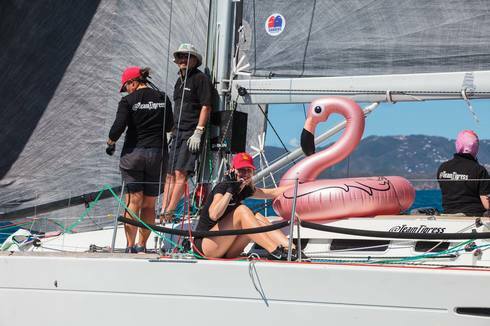 Finally, I met a sailor from France who races against an Aphrodite 101 named Vert Gallant. I follow that boat on line as it is successful on the race course. I am always looking for tips from other Aphrodite 101 stories and pictures. Antigua was a treat to visit. 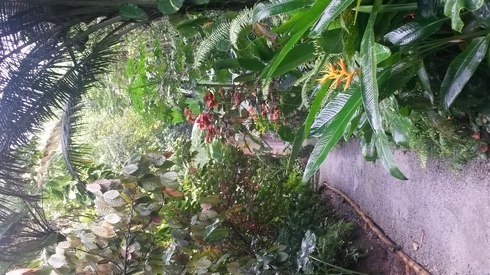 The island had not been ravaged by hurricanes. The infrastructure was in beautiful condition. Stores and restaurants served up Caribbean hospitality. The yachts were stunning. I look forward to returning with Elizabeth. Years ago, we had some fine times on that island. 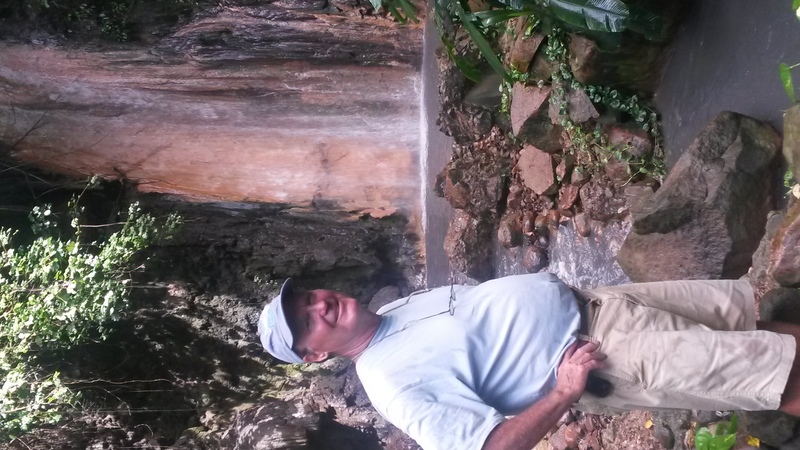 Back in the BVI and USVI the ravages of two Category Five hurricanes remained prominent. Progress with the cleanup is visible. It is going to be a long hard job. 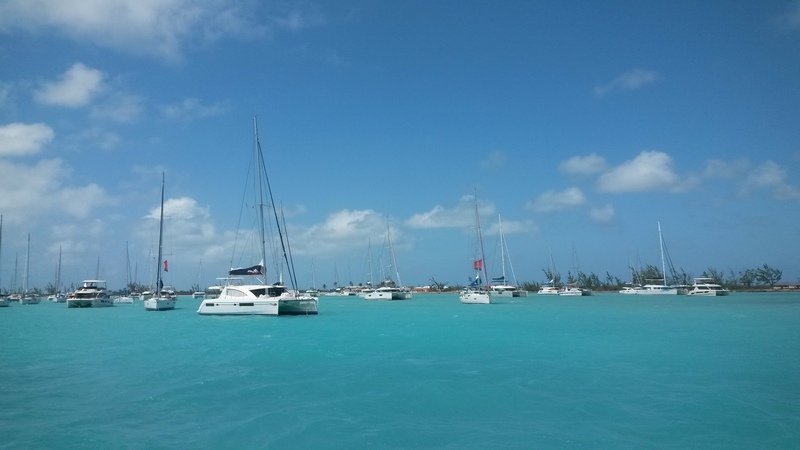 However, some of the scenes from sailing the areas follow. 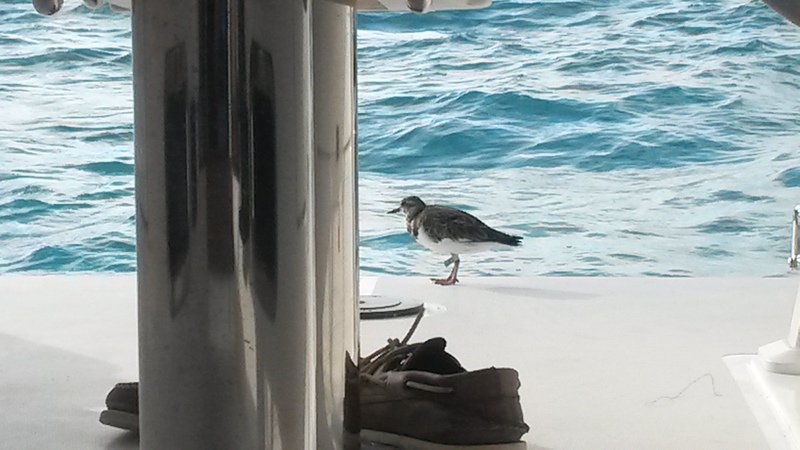 A pretty Ruddy Turnstone visited us in Antigua. We see them up North, too, which makes the sighting special in Anegada. 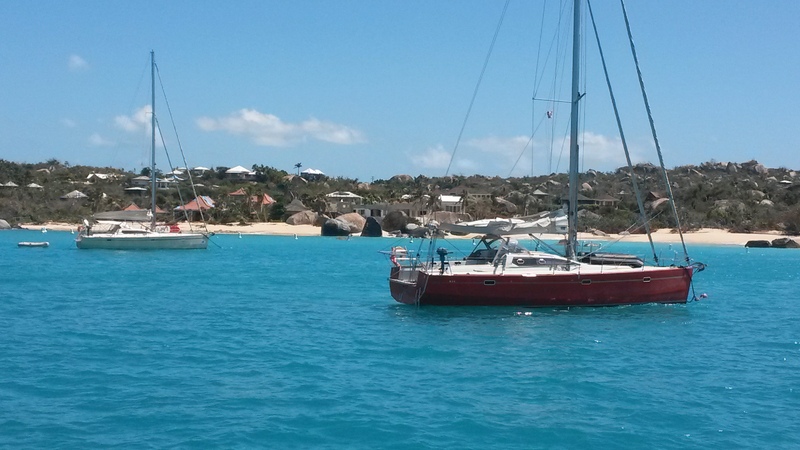 Two 40 footers of the same design on moorings off The Baths in Virgin Gorda, BVI. Norm likes these designs as they are multi-chine designs for amateur boat builders. 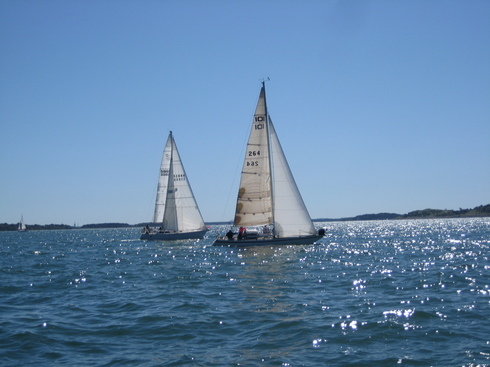 Both boats are attractive and fast sailors. I enjoyed seeing them sailing. Later, through the efforts of some forum guys, I learned these are RM1200s from the drawing board of Marc Lombard. 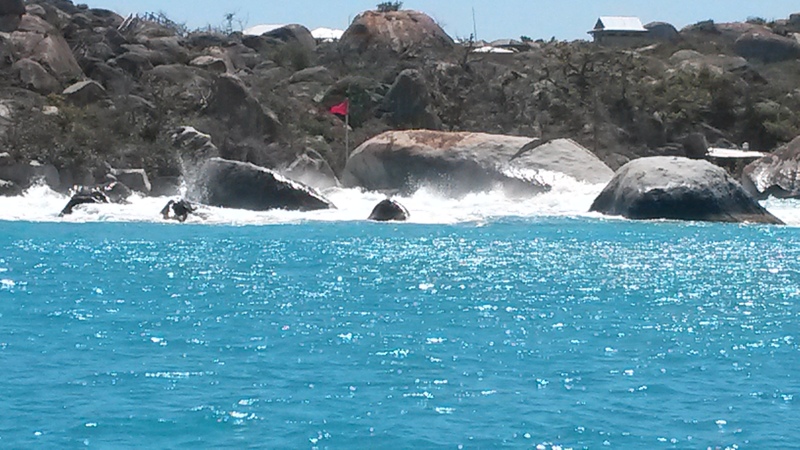 A violent day at The Baths of Virgin Gorda. Sometimes a big wave would crash in a spray enveloped the rocks near shore. No, we did not venture in with our dinghy! 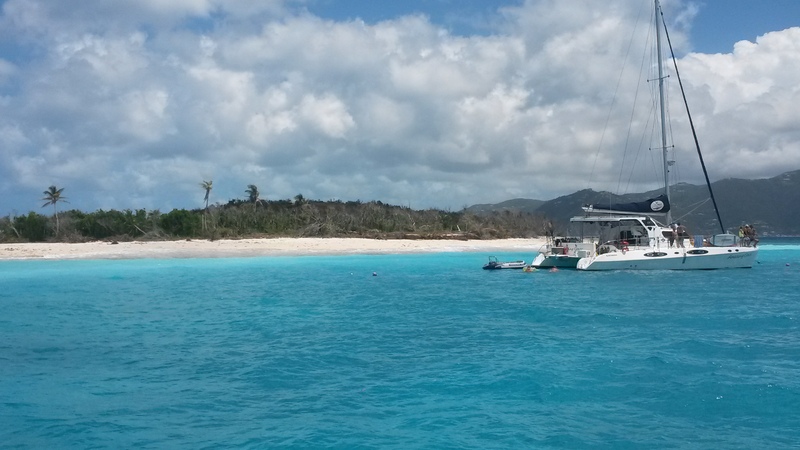 A sleek catamaran at Sandy Cay between Tortola and Jost Van Dyke Islands. Cats are taking over the scene. Most are not as sleek as this one. 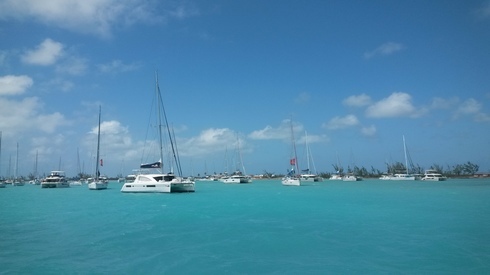 Anegada anchorage. two thirds of the boats were various models of charter cats, filled with smiling happy people having fun on the water. 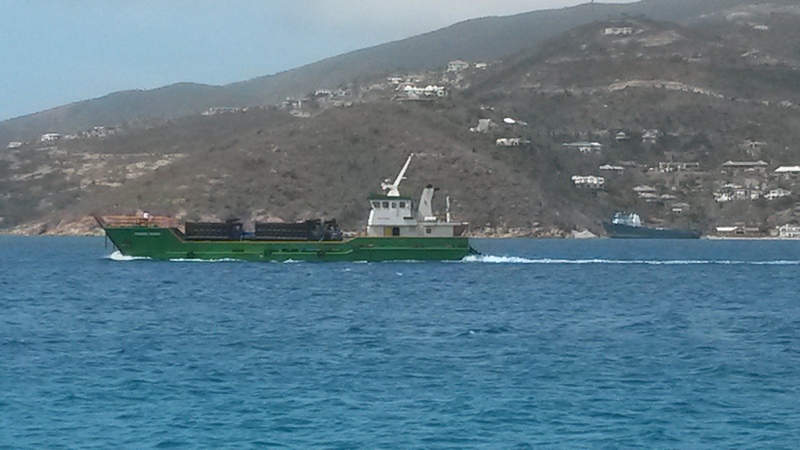 This freighhter brought construction materials to Tortola along with a little sailboat imported by a sailing school. Once empty, it loaded a lot of catamarans for London. Reports are the cats were damaged but not significantly and will be repaired in England. The below deck boats were loaded mast-down or without masts. Deck cargo of mast up cats can be seen. It took many days to get the cargo stowed. Intra-island freighter moving dump trucks from the big island to Virgin Gorda, maybe the Bitter End Resort. Background shows a grounded local freighter that hasn't been removed from the beach yet. 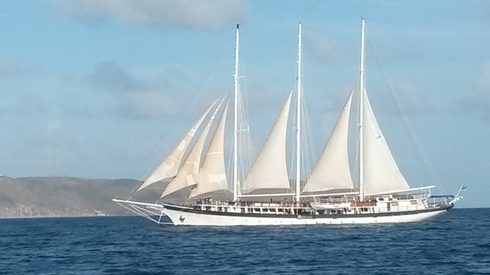 Schooner Mandalay. Originally built for E F Hutton in 1923 and named Hussar. Registered in Zanzibar. 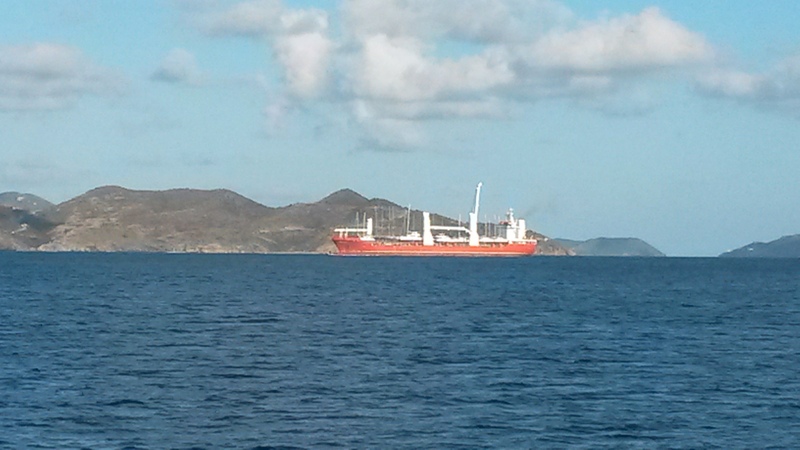 She is sailing from Norman Island to Road Harbour. Peter Is in background. 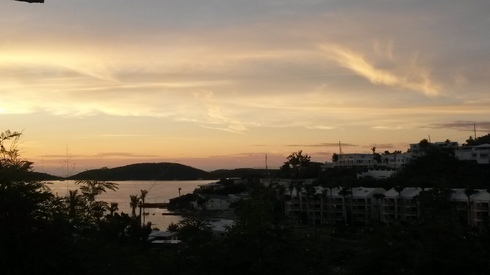 Early morning view from my apartment overlooking Cowpet Bay at the East end of St Thomas. My last morning before heading home to Harwich. 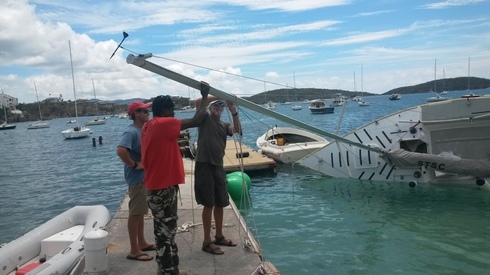 The last thing I did with the guys at St Thomas Sailing Center. Replacing a headstay.